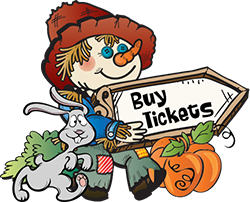 We’re offering the option for you to purchase tickets online! One-click shopping saves you time … and with our special pre-season promotions (watch Facebook for details and purchase code!) you can save money, also! 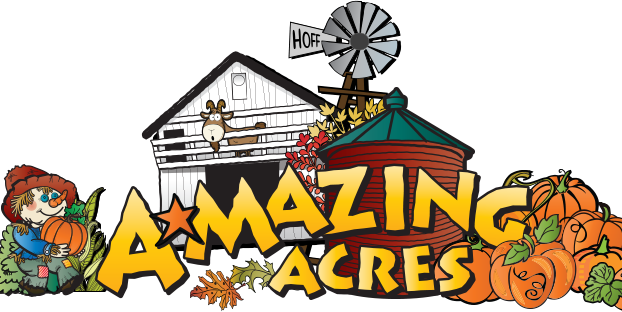 Plus, we think tickets to A-Mazing Acres would be a lovely gift for friends, family, or grandkids. Come for pumpkins! Bring your camera, as the photo opportunities for kids-plus-pumpkins are endless! Find out more about our Pumpkin Patch and see what varieties we’re selling this year. It can be a “hair raising” experience for some folks! Take an old-fashioned hay ride around the farm — you’ll meet our friendly horses on the way. Our newest addition to the farm are direct decendants of the first cattle in the New World. Little Annie Oaklie was born April 13th and was our inspiration for this year’s maze! Get lost with your friends on the almost 4 miles of trails in the corn maze. Hop on the jumping pillow, visit our charming goats, and try your skills with our apple cannon! Plus, we have entertainment for people of all ages! Good things to eat! Campfires, friendly farm animals in our Barnyard, lots of photo props … whew! That’s a lot! We accept Cash, VISA, Discover, MasterCard, debit bank cards and business account checks.